Saturday was another long day with a few of us heading back to the states. 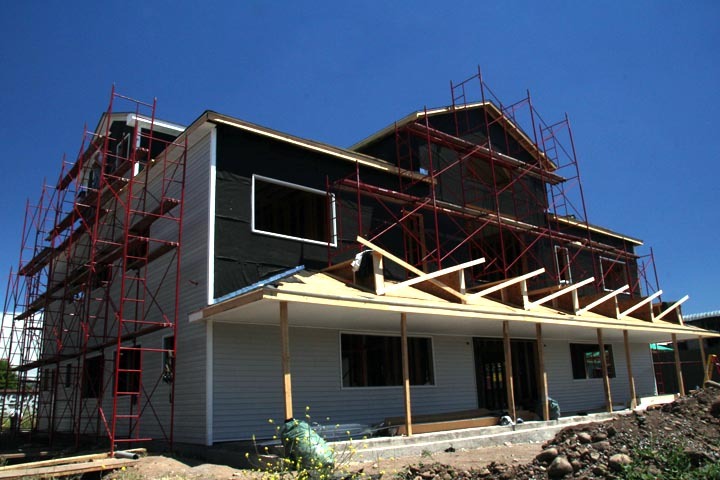 Work continues on the insulation, plumbing, electrical and siding. Monday we delayed dinner with the girls a few minutes to allow more work to get done. Lunches are being shortened to 30 minutes from an hour. Everyone is working as quickly as possible. The window installation has begun. This has added some problems with the siding crews. Tuesday the windows continued to be installed along with the normal work. The staging was moved for the last time! The high point of the day though was the baptismal service. 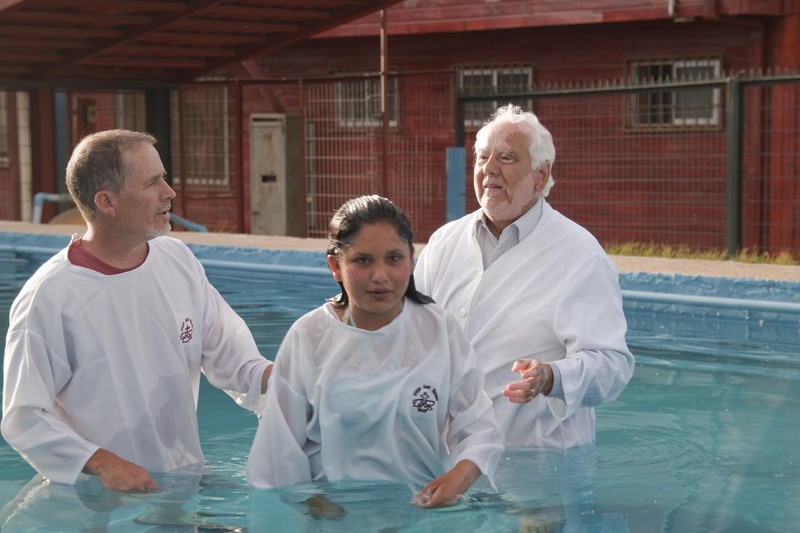 Three girls were baptized. I have it under good authority that the water was very cold! 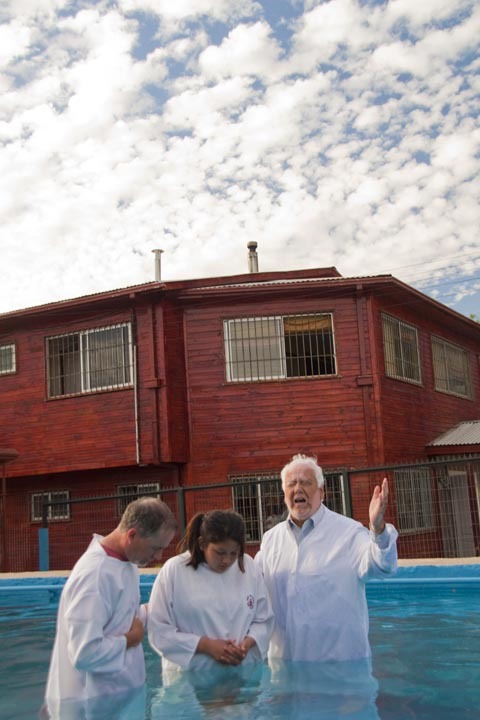 This was the first baptism here in 18 years! This shows the transformation that has occurred here under Daniel’s leadership. Over 100 people were here for the baptism. We had hamburgers and hotdogs for all. Tomorrow is the last work day. We are going to work all day as normal. We are delaying our trip to Vina for a couple of hours to allow us to pack the tools Thursday morning rather than quit early on Wednesday. Thank you for your continued prayers. 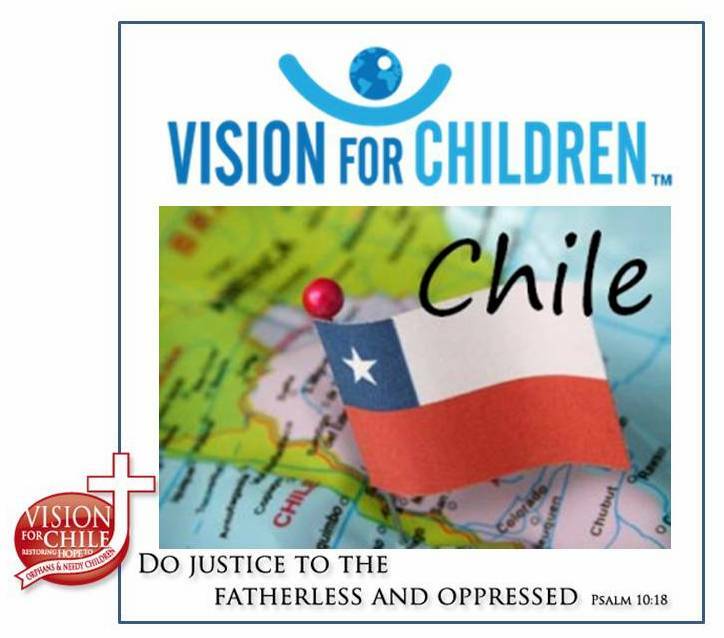 Also, a Chilean family has offered to fund the schooling for one of the girls going into the House of Hope! Anyone else want to join them in sponsoring a girl? 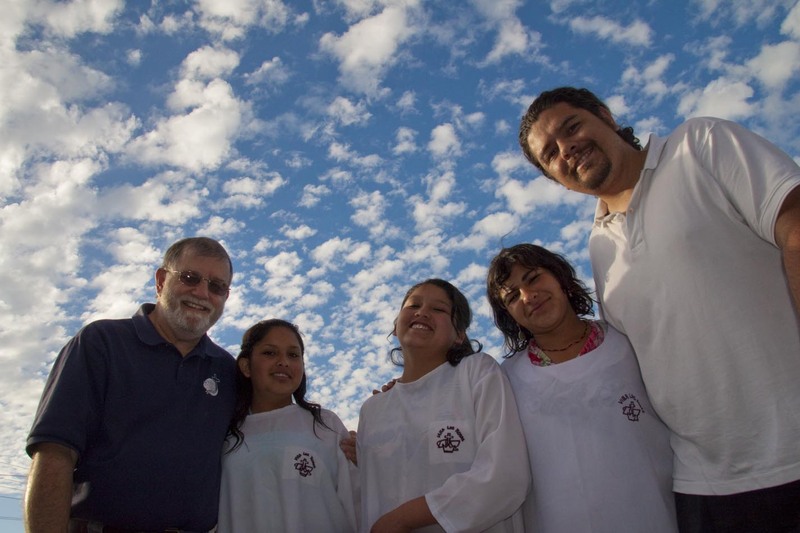 Praise the Lord for all of the hard work being done at the Hogar. It is good to hear about how many people are working together to help the girls there in Santiago. Only God knows the difference that has been made in the lives of so many girls that have received food, shelter, and spiritual training that is and will impact their lives for ever.